A three-member team from Egypt was crowned the winner for this year’s P&G CEO Challenge for India, Middle East and Africa (IMEA) which took place in Dubai, UAE recently. The competition was organised by Procter & Gamble (P&G) with an aim to equip students from across the region with leadership and business skills, and providing them opportunities to work on real-life business challenges while interacting with P&G executives, said a statement. This year, over 6,600 students from 140 universities from across India, the Middle East and Africa took part in the challenge, it said. Each team was given an opportunity to work on business challenge simulations aimed to test and further enhance their marketing, general management, human resource and strategy development and budget planning skills. The competition started earlier this year in over a dozen countries where teams competed in the initial round with their counterparts in their countries. 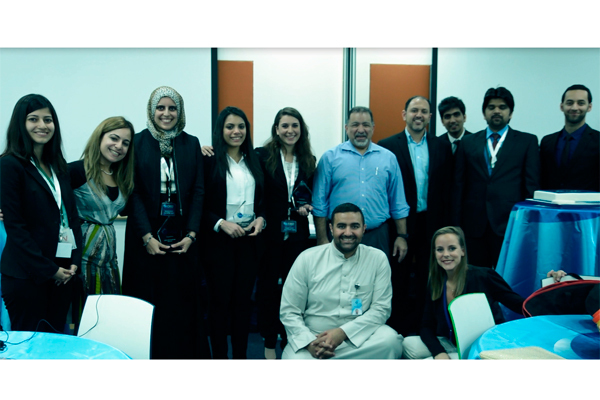 The country-level winners participated in the P&G Dubai office for the final faceoff. The winners from Egypt won over five rounds in a six-month period. Lana Eltarazi, Gulf training and recruiting manager for P&G, said: “Procter & Gamble is committed to developing the next generation of business leaders and supporting talent development.